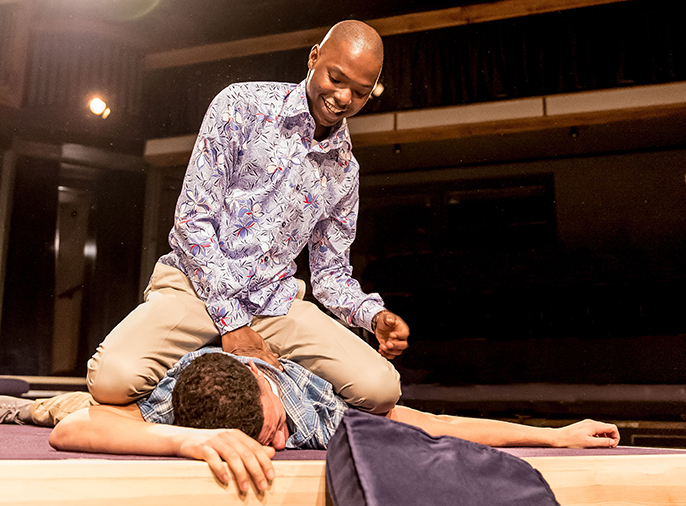 However, Barek is quick to point out that sexuality is not the core focus of the play. You have every reason to come and see The Rolling Stone. This play is for everyone. A straight person, a gay person, white, black, Asian, Atheist, Christian, Muslim. I’ve never done a play where at the end of it the audience all seems to fully understand what each other is thinking. During our interview, I find Barek to be discerning and unassuming. His upbeat enthusiasm and complete lack of pretention make him incredibly accessible. I ponder whether it is the actor’s openness which has enabled him to play child soldiers and Apartheid survivors with such unaffected authenticity. 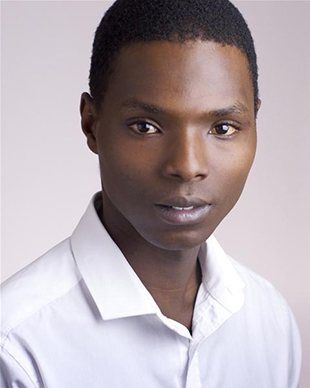 Originally from Burundi, the Doctors star emigrated to London at the age of ten. He explains how his dreams of England filled with blue skies and lying on green grass were short lived. 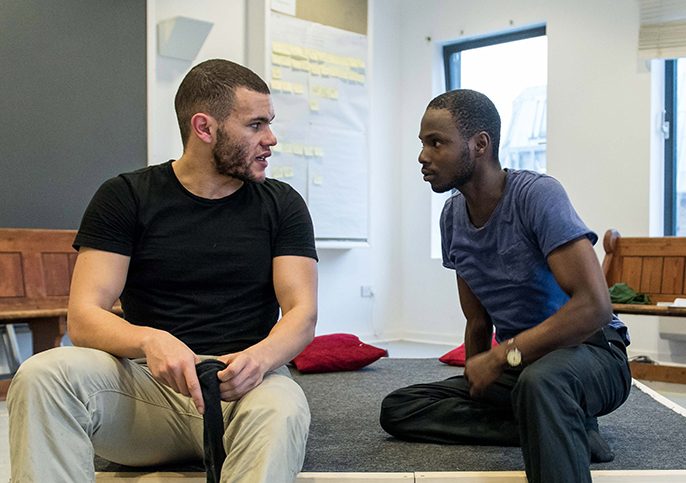 Although the play is set in East Africa and the main character is gay, Barek is adamant that the story is not limited to these factors. Barek seems eager to avoid any stereotypes concerning racial attitudes towards sexuality. But the fact remains that out of 55 African states, 34 have either strictly sanctioned laws on homosexuality or have outlawed being gay altogether. In the play’s setting, the death penalty for practicing or supporting homosexual acts was only repealed in 2014. The Uganda Anti Homosexuality Act as it now stands, enforces life imprisonment for these ‘crimes.’ Having spent his early childhood in Burundi, I am curious to know if Barek has any insights as to the lack of gay acceptance in some African cultures. Many of Barek’s roles have been characters of African heritage, such as the unnamed South African boy in debbie tucker green’s truth and reconciliation. 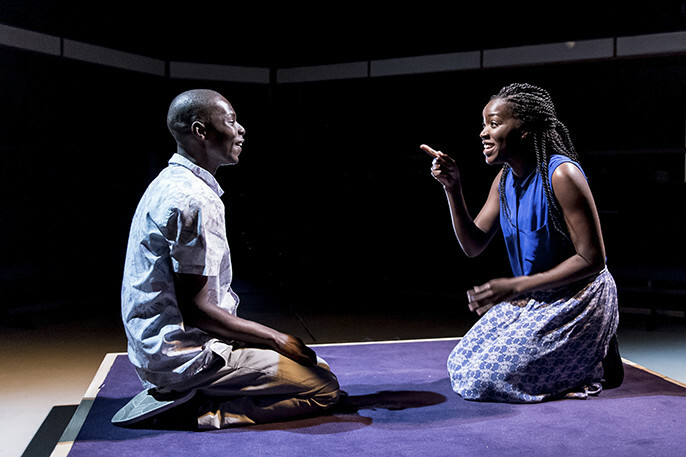 When asked, the artist says he doesn’t feel typecast and enjoys being able to bring his “own insights and experience to the characters.” In fact his first major professional role was as Joseph; an opportunistic East African youth in Drew Pautz’s Love the Sinner. This was also the first play I ever reviewed. Because of this, I have always felt a strange and utterly one sided affiliation with Barek and I can’t help feeling excited at finally getting to speak to this young talent. When I admit this to the actor, he seems modestly flattered. I wouldn’t say it’s a play about sexuality at all. Chris (Urch-Playwright) keeps saying he didn’t want it to be about gay people or anti-gay people, he just really wanted to tell the story of this young man who is trying to be himself. “In terms of acting, I just enjoy theatre immensely, a lot. It is stressful, but I think that goes with the territory. If you can imagine an actor coming from a background like I did, making it to where I am now - it’s better than Hollywood if you like. For me, I hope to move forward but I’m quite content to just see what happens. Sure, I’d like to be the new John Boyega from Star Wars and do more TV. But more than that, I would like to take part in things that develop me as an actor, more than as a celebrity. Barek’s dedication to creating thought provoking work is commendable. Coming from a generation so obsessed with fame it is fascinating to hear the actor state he would rather play Mercutio than Romeo. He would also pick Iago over Othello any day of the week.